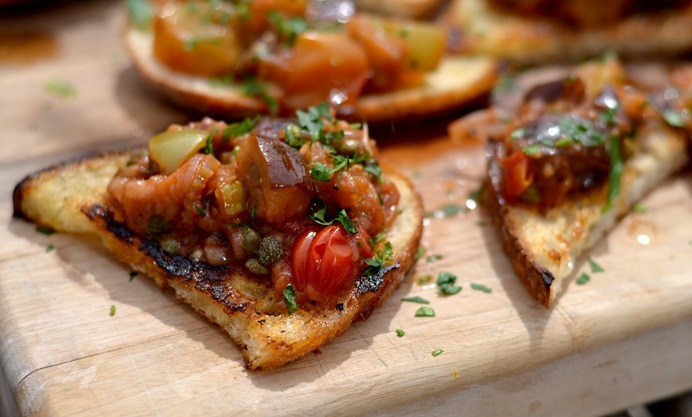 Food Urchin transforms fresh green tomatoes into a delicious caponata bruschetta recipe, packed with flavour from capers, aubergine and oregano. Just recently, an incident happened at the bottom of my garden which in simplest terms can only be described as tomato carnage, on a biblical and catastrophic scale. Without getting too upset about matters, I can only say that someone, or something, deliberately and most maliciously decided to trample all over one of my beloved plants. A plant that was yielding some beautifully formed heirloom tomatoes. Deep-lined emerald jewels that were primed for another month or two bathing in the sun, before transforming, nay, blossoming into voluptuous, juicy fruits. Now, all is gone. However, if I ever catch the culprit, be it a cat, fox or hedgehog on the make, then retribution will be swift. For I have a water pistol, primed, loaded and ready, by the patio door. 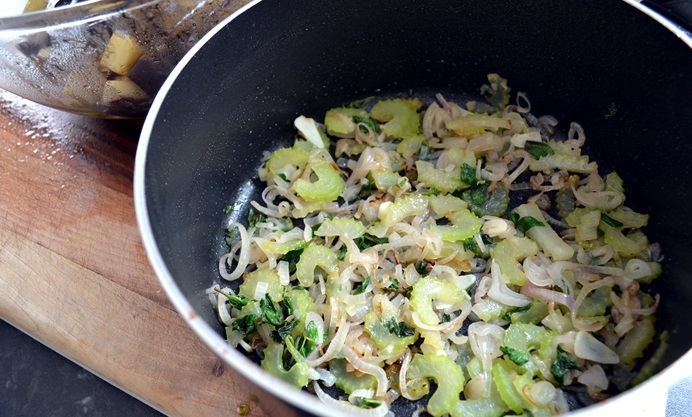 Still, having an unexpected bounty of green tomatoes isn’t such a bad thing really. I quite like them in their unripened state; either in curry, chopped into salsa verde or simply fried for breakfast, along with an egg, sunny-side up. 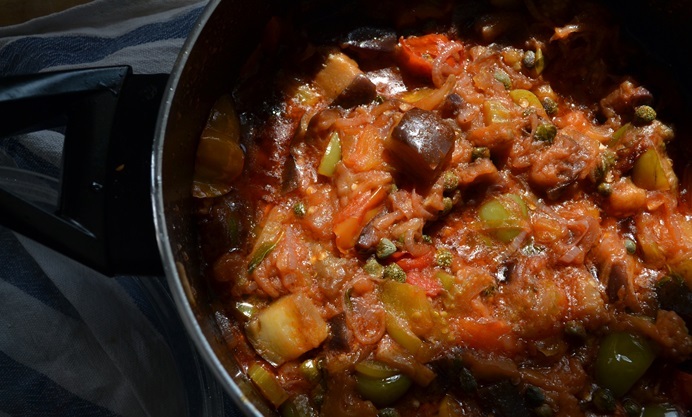 Because they are normally fairly tart at this stage, I also wondered how they would fair in caponata, that popular Sicilian stew, concocted from slow-cooked and cosseting aubergine, spiked with capers and vinegar. 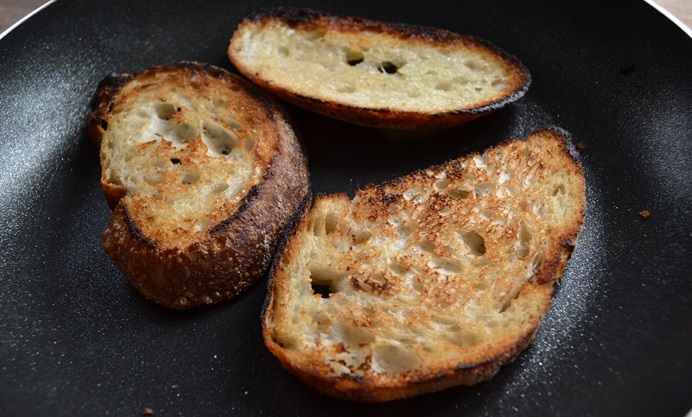 There are lots of variations out there but the general consensus is to achieve a perfect balance of sour and sweetness through the dish, or agrodolce, as the Italians say. 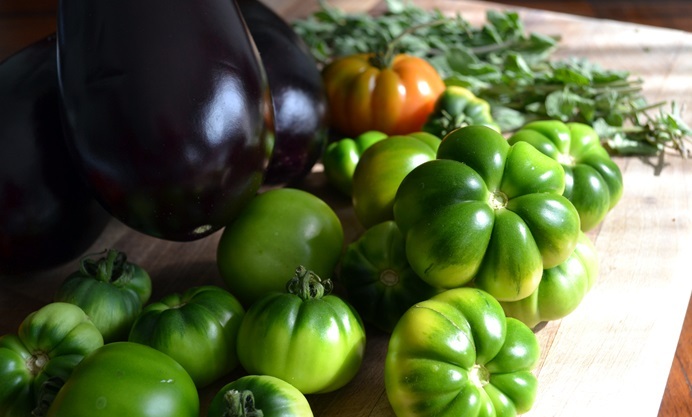 Having tried it out, the green tomatoes certainly delivered an acetic kick to the palate, providing delicious contrast to saccharine shallots and indulgent, melting flesh of the eggplant. So if are growing your own, or can get hold of some, be brave and snip a few off early. It’s definitely something different to try out. 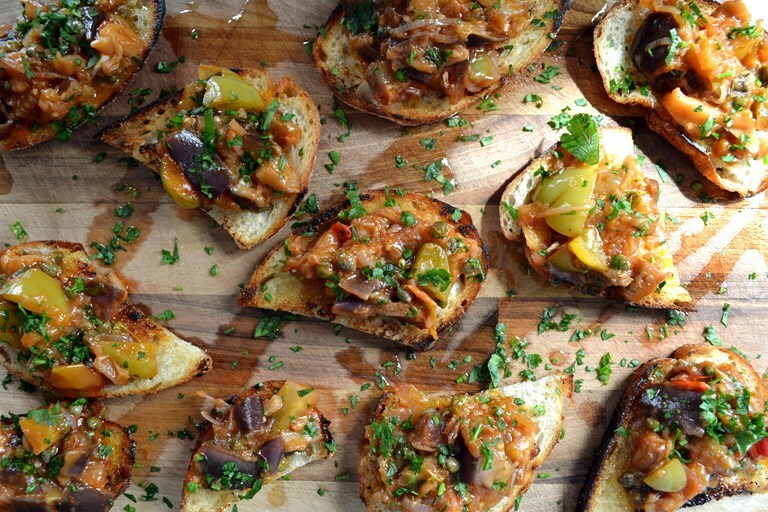 On a warm summer’s evening, this sort of caponata would go down particularly well with friends, served on bruschetta, drizzled with oil and parsley, and washed down with a crisp, dry white wine. And if, whilst eating, you happen to spy a devious, malformed, hairy looking creature who happens to go by the name of Fred. Sat there, looking all smug and complacent, whilst perched on the fence. If you could only manage to grab the water pistol without him noticing. Just this one bloody time. Then that would be just perfect.